Hydroponic Sanitation Techniques - Rosebud Magazine Hydroponics Lifestyle Growing And Entertainment! Keep things sanitary and grow healthy fruit in your grow room. At the end of each garden cycle, and sometimes throughout, growers of high-value plants must clean their hydroponic systems in order to avoid potential problems. For most growers this includes the use of a cleaning or sanitizing agent. Unfortunately, there is little information regarding which products are most suited to hydroponic applications. Before growers decide which products, if any, they wish to use in their hydroponic systems they must understand the advantages and disadvantages of each. Many hydroponic growers take advantage of chemical disinfectants. One of the most popular products used by hydroponic growers is Consan’s Triple Action 20. 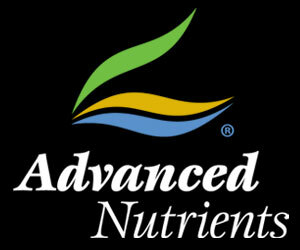 This product is a fungicide, algaecide, and general disinfectant. Triple Action 20 should only be used as a fungicide on ornamental plants. Growers of high-value plants should avoid using this product as a fungicide but can take advantage of this product’s disinfecting ability. Chemical disinfectants, like Triple Action 20, should only be used when the hydroponic system is empty. After flushing the hydroponic system with a diluted solution of the disinfectant growers should double or triple rinse the system with water before putting plants back in. This is to make sure any chemical residuals are removed from the system. Growers who don’t sufficiently rinse after chemical cleansers run a risk of hindering their plant’s growth. Household bleach, or sodium hypochlorite, is another chemical disinfectant and commonly used cleaner for hydroponic systems. Bleach is cheap, easy to access, and effective at disinfecting. Just like any other chemical disinfectant it is very important to double or triple rinse after using it in a hydroponic system. 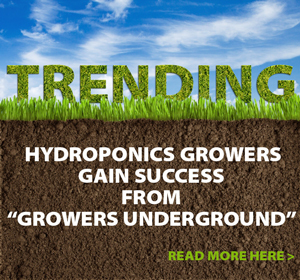 Hydrogen peroxide is gaining popularity among hydroponic growers as a cleaning agent. Most hydroponic retailers carry 29% hydrogen peroxide and 3% hydrogen peroxide can be purchased almost anywhere. It is much more practical for most hydroponic growers to purchase the higher concentrated hydrogen peroxide. Hydrogen peroxide cleans in a different way than chemical disinfectants. Hydrogen peroxide actually oxidizes what it comes in contact with. As this oxidization occurs hydrogen peroxide (H2O2) turns into water (H2O). This is what makes hydrogen peroxide such a great cleaning agent for hydroponic systems. Instead of leaving behind residual chemicals like chemical disinfectants, hydrogen peroxide leaves no residue besides water. There are some disadvantages of using hydrogen peroxide as a cleaning agent in a hydroponic system. First, the concentration required to adequately clean is relatively high which means growers will have to use a lot of it. This makes hydrogen peroxide the most expensive way to clean a hydroponic system. Secondly, hydrogen peroxide in high concentrations is dangerous to handle. Safety equipment, including gloves and eye protection, should be used whenever growers plan to handle highly concentrated hydrogen peroxide. By cleaning their hydroponic systems after each harvest growers of high-value plants will reduce the chances of pathogens. 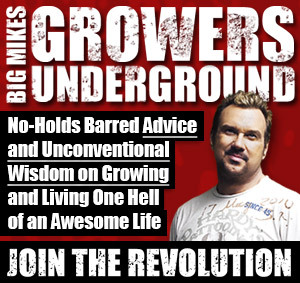 Regardless of which one they choose growers who understand how to use their cleaning agent properly will increase safety for themselves and ensure their hydroponic systems are not only clean but free of potentially harmful residuals. Here’s some discussion about greenhouse sanitation techniques.